A malty, aromatic and hoppy mixture. Copper colored, this beer is medium bodied and full of flavor. Vienna Style. This is a Vienna style red, but is actually more of a copper color with a low beige head. Aroma is malty and biscuity, but not hoppy. Mouthfeel is average, moderately carbed. Flavor is medium malt, a little doughey, with bits of caramel and diacetyl. A lingering hop bite can be felt in the back of the throat. This one is average to above average in all respects. Stick with the IPA (if they have it) or the Black Forest. The beer has nice amber appearance with a tan head. Some lacing. The smell is slightly thin. You pick-up a bit of hop/pine and some malt aroma. Taste is solid but unspectacular. Per style, the malt is slightly in front of the hops, but beer could use a dose more of each. I also picked-up a little cinnamon type taste which was not expected, but was not bad. Mouthfeel is on the thin side, drink ability is fairly decent as the carbonation seems perfectly calibrated. Clear reddish copper in color with a 1" head that produced some light lacing through the drink. You can pick up some malt in the aroma. The malt is up front with this beer as any bitterness and fruitiness is far behind. Some faint nuttiness is also detectable. The mouthfeel is smooth with a relatively clean and quite finish. Medium bodied, very light carbonation level. The flavor is slighlty off balanced to give it a better score in drinkability, and I was getting slightly bored by the end of the drink. It isn't quite red, as the name might make you think. It was more of a dark golden color, with maybe a tinge of red to it. It had a big, strong head that had good lacing. The nose was somewhat weak, with no hops there at all. Some sweetness to the nose. The taste was a bit sweet. Not bad, but not real exciting either. Clear, light amber, no head/no lace. Malty aroma with no discernible hop--appropriate for a Vienna/Marzen, which is how this beer is listed (not a Red Ale). Nice combination of malt and hop; spicy flavor and well-balanced. The aftertaste is mostly malt. Full body for the style. This is my favorite offering from this tasting at Crescent City. The bartender told me that it was their signature beer. I agree. This tastes a lot like Crescent City's Pilsener, except this has a more lemony finish and a slight bit more malt flavor. Red Stallion pours an amber color with a good head. Smell is appropriately hoppy, with some lemon zest mixed in. Taste is broadly in the Vienna style, I thought malt flavor wasn't present enough for full satisfaction. Tastes too close to their Pilsener for a strong distinction. This is easy and enjoyable enough to drink, I just wish it had more kick. Clear, light amber beer with a thick, cream coloured head supported by constant, aggressive carbonation. Chunky lacing with rings of foam clinging to the glass. The aroma had a bit of C-hop to it, but was dominated by an acidic bite from the excessive carbonation. The flavour was mild, perhaps delicate, with a bit of fruit, malt and hops staying nicely balanced. Unfortunately, the bitterness became a bit dirty and harsh in the finish. Light bodied with too much carbonation, but the mouthfeel did stay fairly soft. Fairly easy to drink, but the carbonation was a serious problem. This one was sampled 2/21 at the Brewhouse. The reddish mahagony beer looked and smelled beautiful. The nose had a slight hint of citrus. The taste was rich and balanced. Enough malt to not make me wince and enogh hop to say "I'm balanced like a Olga Korbut on a balance-beam". Mouthfeel was darn nice - much more appetizing than the Black Forest. Drinkability is good with this one. In NO for a wedding and sat and had a sampler with dinner. This brew was a very thin and light amber color. Nearly no head on this to speak of. There was a mild malt aroma and faint hops present. The taste was very thin and watered down. My wife really enjoys ambers and she had one of these and didn't enjoy it. For being in the sampler I would not recommend this brew. Kind of a boring beer. Malty. Flavorless. Pours a medium amber color with a 1 finger white head that lasts just a little while before fading away. Smells of caramel malt upfront with just a hint of hops towards the end. A little plain. Taste cleanly reflects the smell, with notes of caramel and toffee most dominant and light hops in the finish. Not much to it but not bad. Light to medium body with medium carbonation. Nothing special but it seemed like the best offering available. I only found myself in this setting for a meeting so I doubt I'd make my way out again for another. Overall, a decent brew but nothing to get excited about. A: Pours a clear dark red color. A white head rises to two fingers with good retention. Some sticky lace is left behind. S: Buttery malt and diacetyl are up front. Bread and biscuit as well. Light spicy hops linger. T: Follows the nose. Buttery with some diacetyl. Caramel and biscuit flavors. 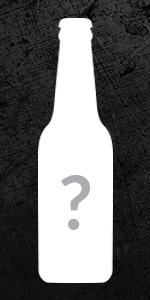 M/D: A medium body and carbonation. A little watery, but not bad. Easy to drink. I can put a few back with ease. Decent, but the diacetyl is a little to prevalent. It does not ruin the beer, but it is there. A small grip, and an overall good beer to quaff at the brewpub. Appearance- dark ruby read with a creamy 2 fingered head. Aroma- none. I mean non existant. Mouthfeel: excellent. Creamy. No astringency. Drinkability: an excellent beer to beat the new orleans heat!! Pour clear, red in color with minimal head. Taste is toasted malt, caramel, and light grapefruit. Light bodied and sweet. Does not come together smoothly, and kinda think this one is a pass for me.